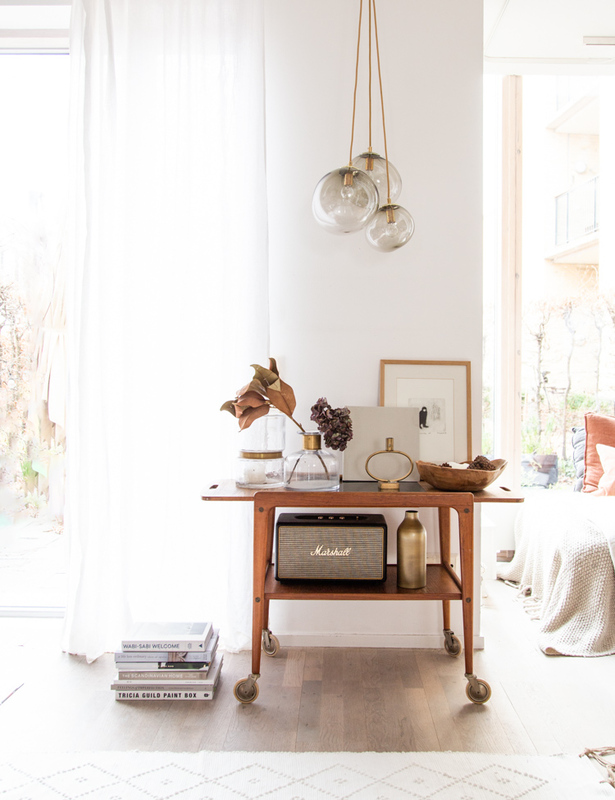 Collaboration* In my mind, lighting is one of the fundamental ways Scandinavians create such beautiful homes. 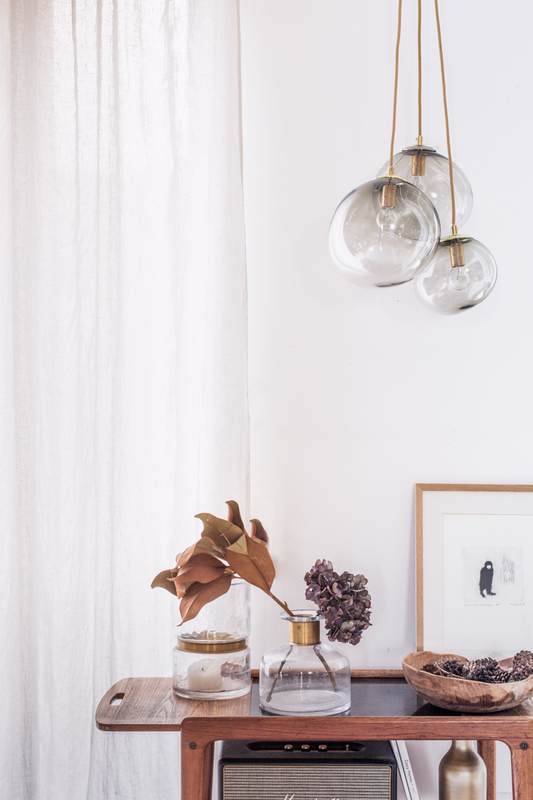 As soon as the sun dips beneath the horizon, the living space becomes bathed in a soft warm, golden light which is as cosy it is calm. The design of the light itself is of equal importance - it's form, style and colour adding something to the space when unlit. Listening to recent trend talks, I was excited to hear lights are set to be a big thing everywhere in 2019 - with every light becoming art in itself. 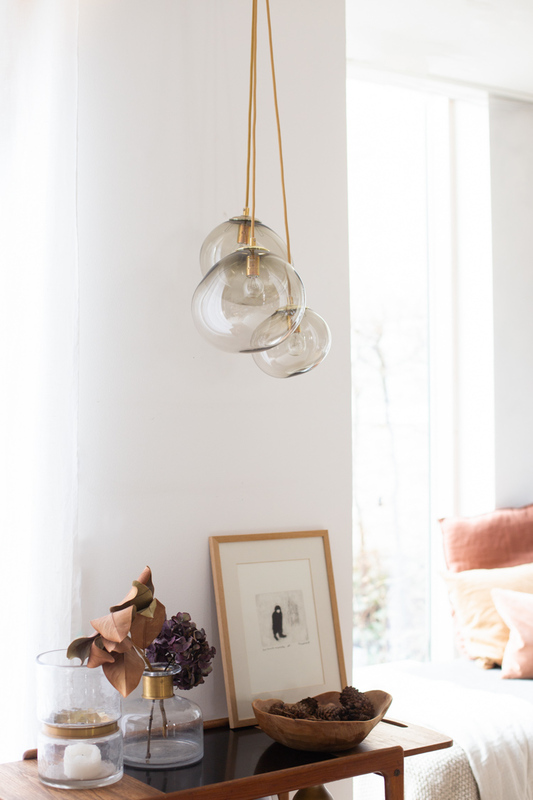 Over the past year I've become a big fan of lighting by Danish glass-blower Pernille Bülow (remember these beautiful SKY pendants over my dining table?). To celebrate 30 successful years since opening her glassblower workshop in Svaneke on the island of Bornholm, Pernille has launched the limited edition SKY lamp. And it's so beautiful! 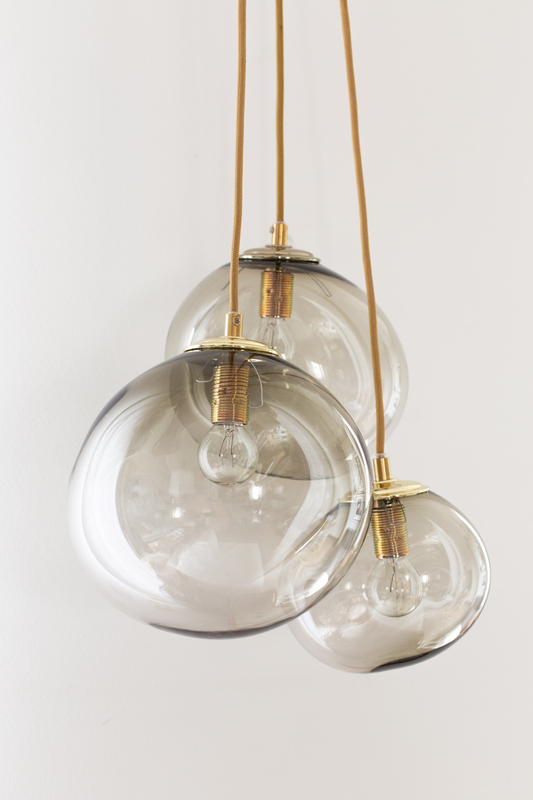 The mouth blown pendant lamp comes in three sizes and has a smoky glass and brass finish - with every piece numbered one to one hundred! I've been looking for something to go over my bar cart for what feels like forever - and I think these lights are perfect. I particularly love them clustered together, what do you think? I am thinking of combining these with the three I already have at some point to make a cluster of 6 - for even bigger impact! You can also add different colours from the collection too. The mouth blown limited edition SKY lamp is available through the Pernille Bülow webshop. My cluster is made up of a size small (14 cm), medium (18cm) and Large (22 cm). You'll need to be quick, I've got a feeling these are going to sell out very fast! *This post was brought to you in collaboration with Pernille Bülow, however all words and pictures are my own and I only ever work with brands I truly love and think you will too! Hi Niki and thank you for all the wonderful design brands you introduce us to, the mouth blown lamps are beautiful! Still I got totally obsessed with the wooden 50's cart in the picture and I can't refrain myself from asking where you got it/who designed/produced it? Thank you Lisa! It was one of those lucky moments where I stumbled across it years ago in my Swedish parents-in-laws attic. It's been one of my favourite pieces every since. I think you can pick up similar mid-century, teak bar carts on Etsy and eBay. Hello Niki, can I ask what size SKY lamps you got to make up these? Everything looks gorgeous! Absolutely. The cluster is made up of a Small pendant (14 cm diameter), Medium (18cm diameter) and Large (22 cm diameter).